The field of social media has expanded considerably over the last couple of years. With so many platforms and so many different duties and responsibilities to manage, it can become quite daunting to maintain a stable social media presence. But it doesn’t have to be this way. With a little organization and a lot of planning, you can pave the path to social media success for your small business. Take control of social media and welcome success. The first step is to plan your social media strategy. Before you do anything, you must understand the best way to use different social media platforms. If you post the same content across all forms of media, people lose interest in what you have to say. So you must first identify which social media platforms you want to target. 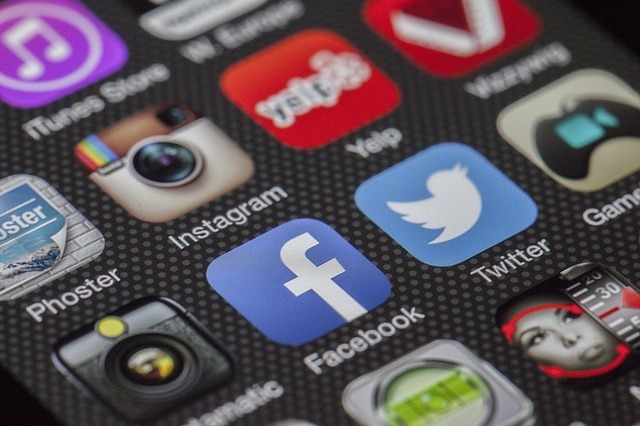 Whether it’s Twitter for short soundbites, Facebook for sharing articles and news, Instagram for showcasing work and events, there are always better ways to target your social media accounts. Once you’ve identified the “what,” you must designate who in the company is responsible for each task and when. Depending on your industry and time zone, some posts may be more appropriate on certain days or times. Designating days and times to post to social media creates a routine that prevents any social media platforms from falling through the cracks. Once your team is aware of the tasks they need to complete and how to do so, it is time to implement your strategy. You have to decide what content should be shared and tailor it to the platform you are using. It is helpful in the long-run to keep track of social media campaigns in order to avoid redundancy and to establish accountability for social media projects. If the planning stage is completed thoroughly, everyone will be aware of their duties and can be held accountable for such. Calendar reminders and keeping tabs on tasks on a whiteboard may be useful at this stage. This allows everyone in the office to be up-to-date on pending and completed tasks without taking too much time from the essential functions of the business. The final step in your social media strategy should be to monitor site metrics, like site traffic, clicks, and conversions to see what kinds of posts are more effective. This will help you pinpoint what works and what doesn’t to help you streamline your social media pipeline going forward. It’s important not to make rash decisions about content at this stage, but to test different approaches and measure their success. If you website’s blog articles are not performing well on Twitter, you might want to change where they are shared instead of eliminating the blog altogether. The more you understand what people respond to, the more efficient and targeted your social media will become. By following this strategy and revisiting these steps every time you need a major social media overhaul, you will always stay ahead of the curve. Your social media accounts will become more effective in their marketing and you will see that the process of maintaining them will become effortless once the workload has been allocated to different people.